And In The End, a line in itself taken from The Beatles' song The End, explores the life of John Lennon through his own eyes, presenting him at the pearly gates moments after his murder. Three celestial gatekeepers challenge him to accept that he is now dead and using a take on the Elizabeth Kubler-Ross 1969 book, On Death And Dying, that breaks the grieving process into five distinct phases : Denial; Anger; Bargaining; Depression and finally, Acceptance, they take John through each phase and facilitate his story being told. The play's mechanism is actually clumsy. The Kubler-Ross book was written to help the bereaved and to project its structure onto the deceased as a character is a flawed pretence from the outset. Thankfully however each of the play's chapters has more of an association with an (accurate) chronology of Lennon's life rather than with an adherence to the clinical five phases, most of which serve as little more than perfunctory introductions to each chapter before being quickly forgotten. The narrative of the play however provides a surprisingly credible reportage of Lennon's life, from primary school years through to his death and there is much in Alexander Marshall’s meticulously researched text that will be both familiar and also surprising. John's first encounters with McCartney and later, Brian Epstein are fleshed out in pleasing detail. 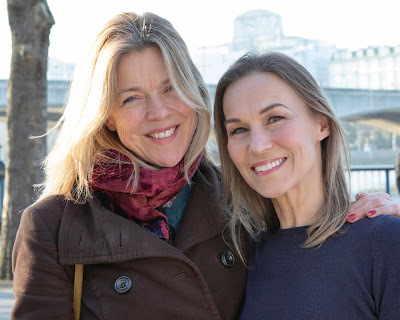 The play explains that Lucy In The Sky With Diamonds was not, as has been oft stated, based on an LSD trip, but rather drew its inspiration from a picture drawn by John's infant son Julian about his little best friend Lucy, with words drawn from Lewis Carroll. Above all, John is presented as a pithy quick-witted joker and it is easy to see from his sharp witty cynicism the incisive mind that would give the world some of pop music's most incisive lyrics. Valentine Pelka puts in what is mostly a memorable performance as the gifted Liverpudlian. His voice, rimless specs and mop top of hair creating a caricature of such familiarity that in full flow of dialog or more often, monologue, it is not too had to imagine that it is Lennon re-telling his own story. On press night though his performance stuttered, with several line-stumbles. Whilst one has sympathy for an actor performing such a massive stage role, each glitch lowers the fragile basket of disbelief that the play seeks to suspend. One wonders if the producers, who include Marshall, had perhaps rushed the show to opening, denying it sufficient preview time to bed down? Corners have also been cut in production values with projected backdrop imagery that could be slicker and the sound of Chapman's gunshots clearly being played from a mildly hissy SFX recording. On such shaky stage foundations are an audience's illusions made or shattered. This is a show that can only improve into its run. Putting its production flaws to one side, the central performance is a cracker and aside from the creaking chapter changes, the text is compelling too. 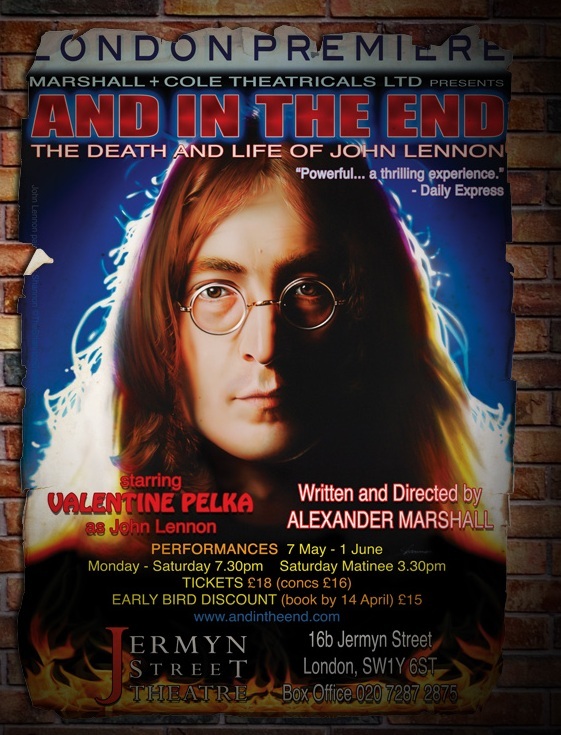 If you like Lennon's work, or The Beatle’s music, you will find something in the play to enjoy.